Full, peerless, and the One. From Song of Ribhu, Chapter two. 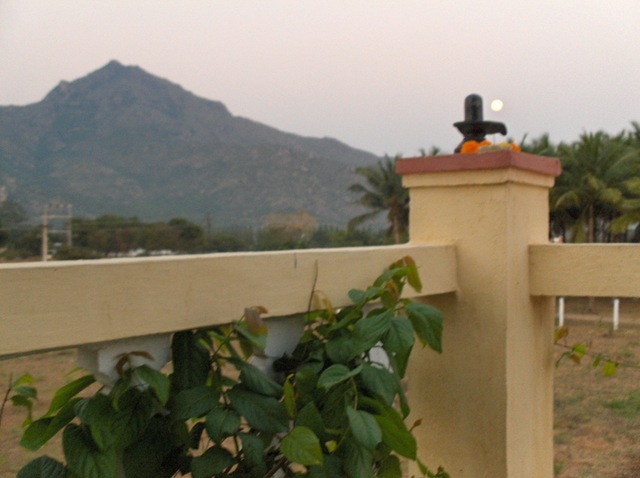 The Ribhu Gita is a spiritual text that was extensively used by Bhagavan Sri Ramana Maharshi. It was one of the first books he read after Self-Realization, one whose message clearly accorded with what he had realized within himself. For many years during his life it was read to those at Ramanasramam. 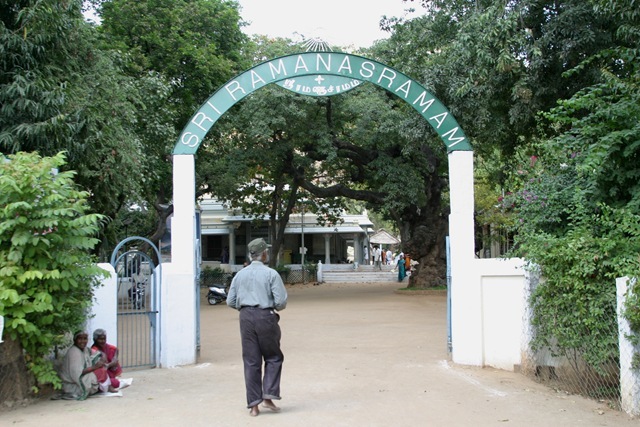 It is still read at Ramanasramam today. Ramana’s use and recommendation of this text has brought it into much wider visibility among those interested in his teachings and Advaita Vedanta. A number of teachers in the tradition of Sri Ramana have been using these translations of the Ribhu Gita in their teaching. 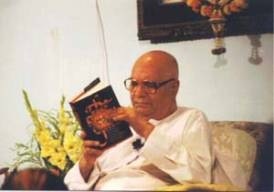 Above is a picture of Papaji reading from the English Translation of the Sanskrit version. The Ribhu Gita is a book that is best read aloud, a few verses at one time. It is in an ancient form designed to be chanted, and they way it is written is most conducive to reading aloud, even if one is reading it to oneself. The Ribhu Gita presents the timeless teaching of Self Knowledge, emphasized by Advaita Vedanta. Its fundamental tenet is the identity of the Self with Brahman, a term signifying the vast Absolute. This scripture presents the teaching given by the sage, Ribhu, to Nidaga to become enlightened into his true nature. In describing the Self or Brahman, negation is primarily used because the Self can never be an object, can never be what is perceived or conceived. By negation in the process of Self-inquiry, the ignorance of identifying ones own existence with an individual body and mind is destroyed. This “destruction” of ignorance is really not the destruction of anything real, as the false identification as an individual just consists of assumptions, ideas. What remains after this so-called destruction is not anything new. It is not something achieved. It is not a transformation. It is what has been your innermost identity all the time. Undivided identity of the Self and Brahman. “The text is a relentless reiteration of uncompromising Advaita―that the Supreme Brahman, ‘That,’ is all that exists and exists not, that nothing else exists, the Self is Brahman and Brahman is the Self, I am that, I am all, and That is myself. 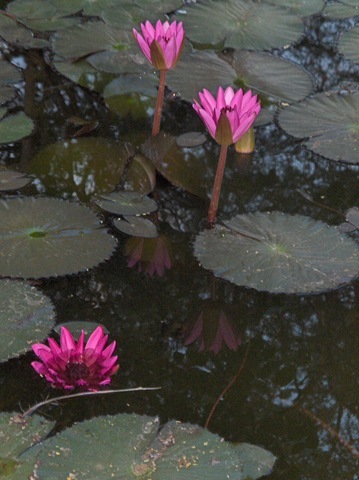 This Awareness is moksha (liberation) which is attained by the way of knowledge and the certitude I-am-Brahman,” says Dr. H Ramamoorthy, one of the co-translators, in his Translator’s Introduction to the English translation of the Sanskrit version published by The Society of Abidance in Truth in 1995. The origins of the Ribhu Gita are uncertain. 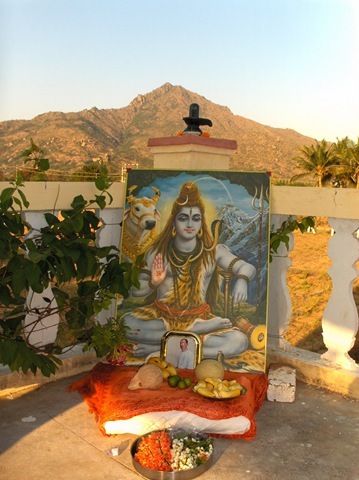 It is contained within the Sivarahasya, an ancient Sanskrit epic devoted to Siva. It has been compared to the better-known Bhagavad Gita, contained within the epic, Mahabharata. Similar dialogs between Ribhu and Nidagha on the Self and Brahman are also found within the traditional 108 Upanisads, so it appears that the origin of the Ribhu Gita dates from the Upanisadic period, generally thought to be about 600 BCE. 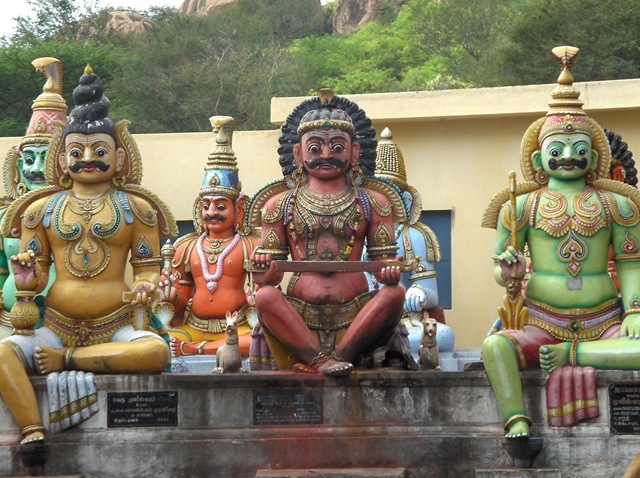 The Ribhu Gita exists in two forms, the traditional Sanskrit version, and a Tamil version rendered in the late 1800s by Bhikshu Sastrigal, also known as Ulagantha Swamigal. 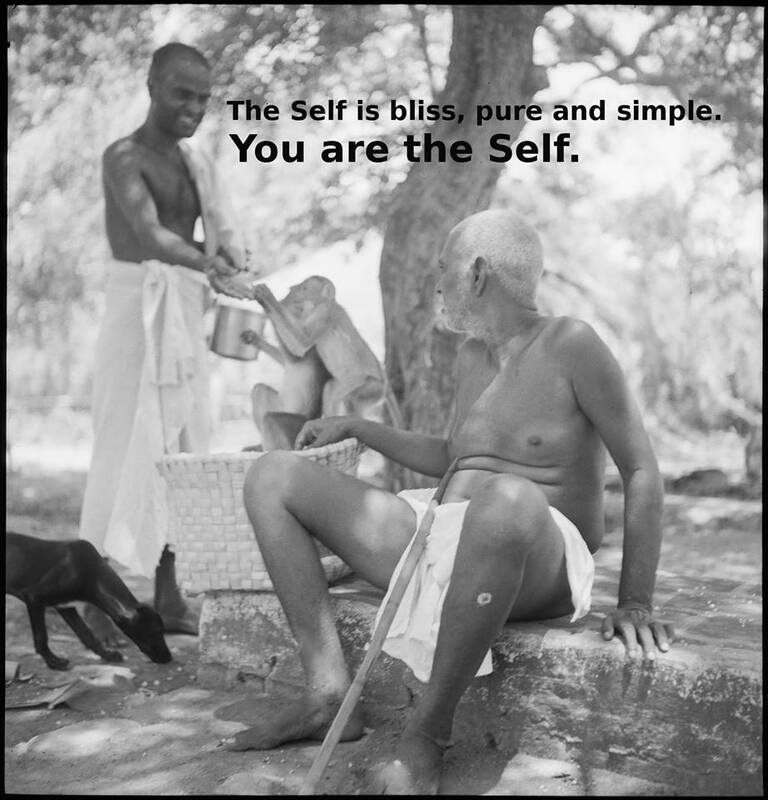 Both versions have been translated into English by Dr. H. Ramamoorthy, a Sanskrit and Tamil scholar, and Nome, a Self-Realized sage in the United States of America, who realized the Truth revealed by Sri Ramana Maharshi and the Ribhu Gita in 1974. Both books, The Ribhu Gita and The Song of Ribhu (the Sanskrit and Tamil versions of the text) have been printed by the society of Abidance in Truth (SAT) and are available from their website (www.satramana.org). These English translations have become the basis for a widening appreciation of this ancient nondual work. Translations have been made from these English translations into a number of other languages, including Italian, and Hindi. The Song of Ribhu has also been reprinted by Sri Ramanasramam and is available from their bookstore. In addition to these two complete translations, there have been a number of partial translations published. One is a small pamphlet, Essence of Ribhu, available by download from Sri Ramanasramam – www.sriramanamaharshi.org . The other is The Heart of the Ribhu Gita, by F Jones, Los Angeles: Dawn Horse, 1973. 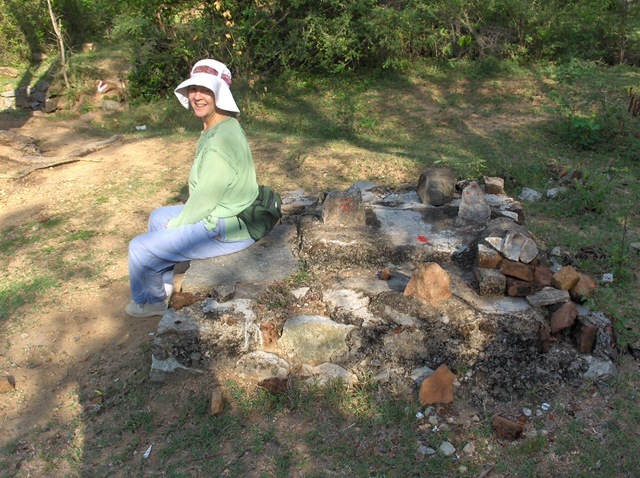 Nome has been teaching Self-inquiry, as taught by Sri Ramana, for about 30 years. He gives satsangs and holds retreats at the temple of The Society of Abidance in Truth (SAT), in Santa Cruz, CA, USA. 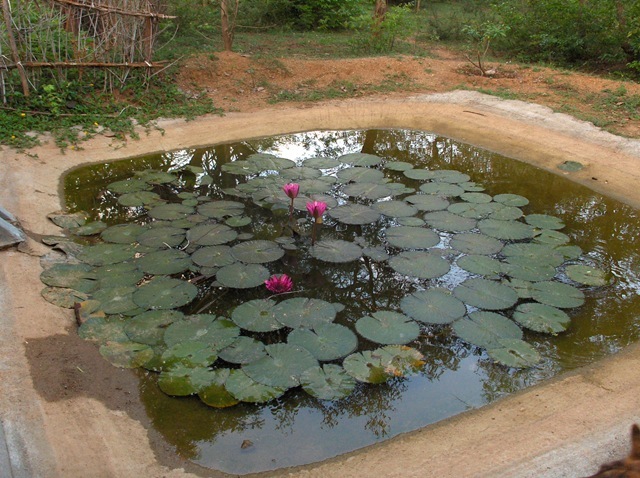 For more information go to http://www.satramana.org. He has translated and published a number of books of Advaita Vedanta that otherwise would not be available in English. 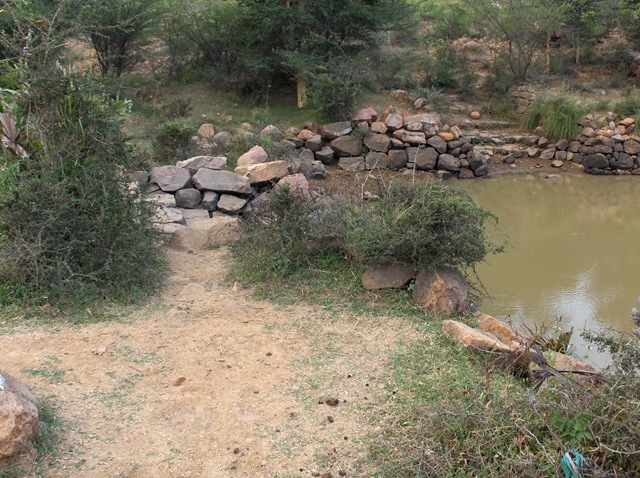 Many of these translations were done in collaboration with Dr. Ramamoorthy. 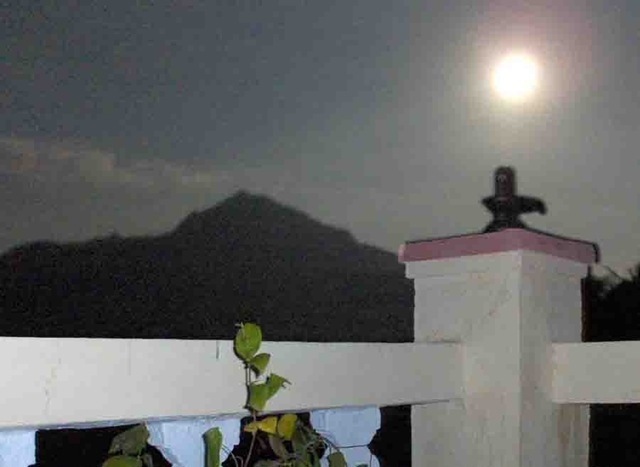 Saturday night was full moon night again, this time special due to the Tamil New Year. 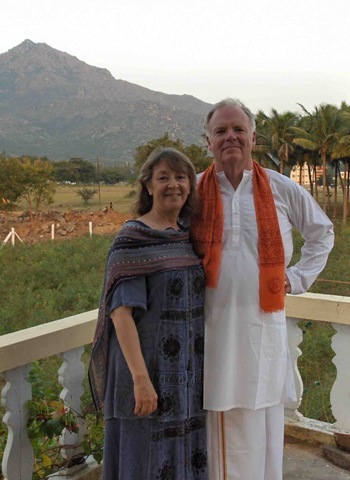 Carol and I had not done pradakshina around Arunachala on such nights and had planned to do so this night. We have been preparing. This is a big effort for aging Westerner bodies. 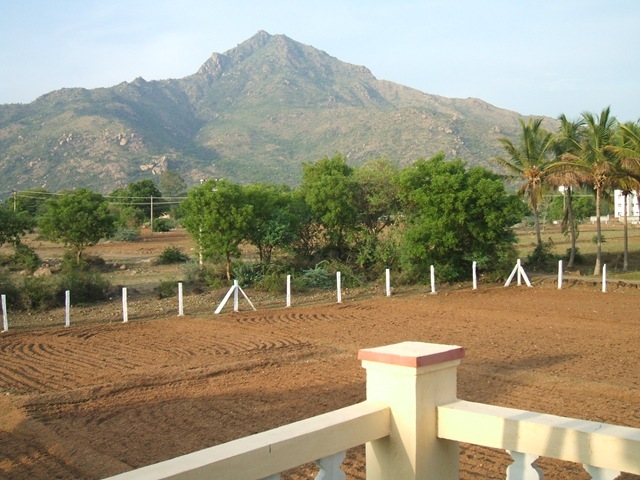 From our house, Brindavanam, it is between 9 and 10 miles to circuit Arunachala. 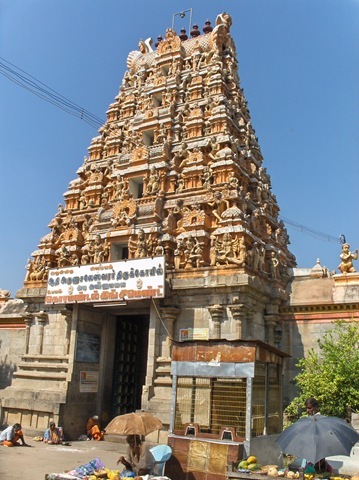 For the last two weeks we had been doing ‘half pradakshinas’ (about 5 miles from our house along the inner path to the Ramakrishna hotel, where we would stop, get breakfast – vadas and dosa, and Indian milk coffee – then take an auto-rickshaw the rest of the way home. 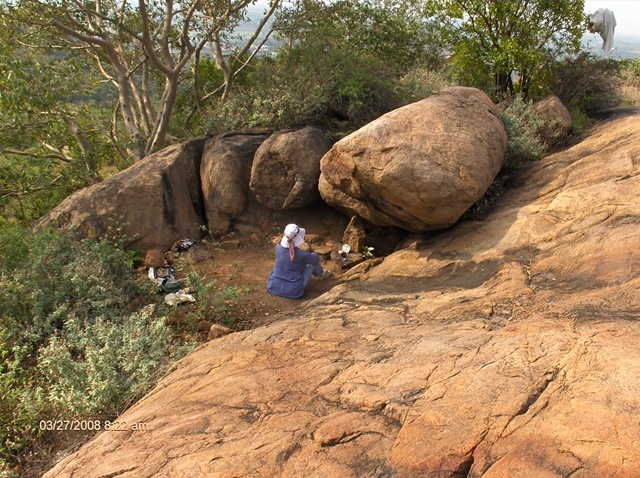 To get ready we have been walking about 25 miles a week on Arunachala, either around it or up and down to one or another of the caves and meditation spots. It is April now, and the summer heat is starting. Saturday at our house it was 38 C (100 F). When we left about 6:15 PM it had not cooled off much. 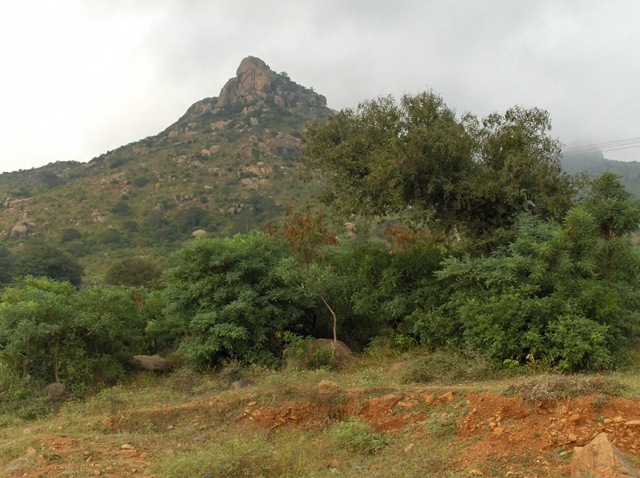 We walked out to Bangalore Road, west of where the pradakshina roads turn round the holy hill. 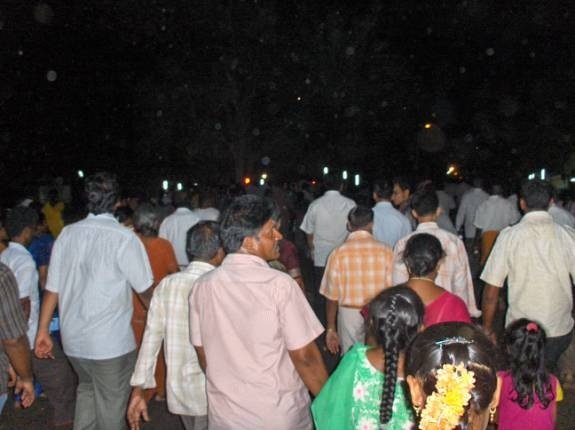 The road used for pradakshina is blocked off from traffic, and traffic is rerouted for this night. 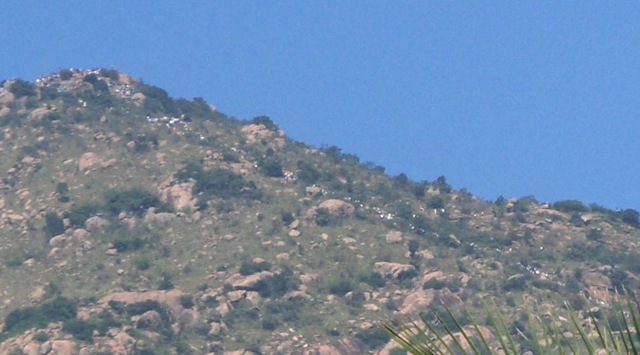 When we got to Bangalore Road we saw many busses parked along the road, and thousands of people streaming towards the pradakshina route. The foot traffic was light, we found out in a few minutes – only maybe 5 or 6 abreast taking only half the road. 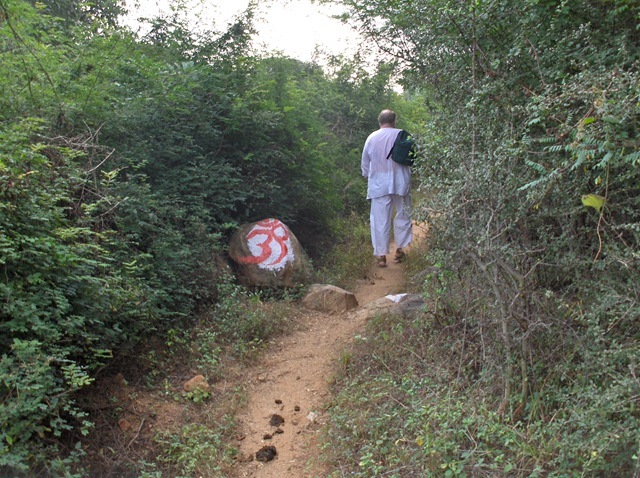 We joined the pradakshina crowd about 2 miles into the route many take. 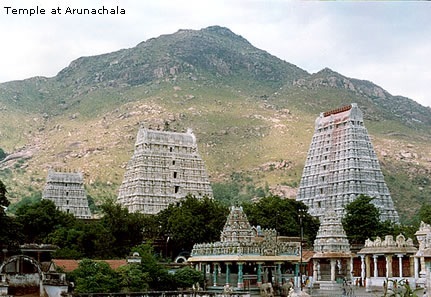 It is common to start at Arunachaleswara Temple, in the center of Tiruvannamalai. 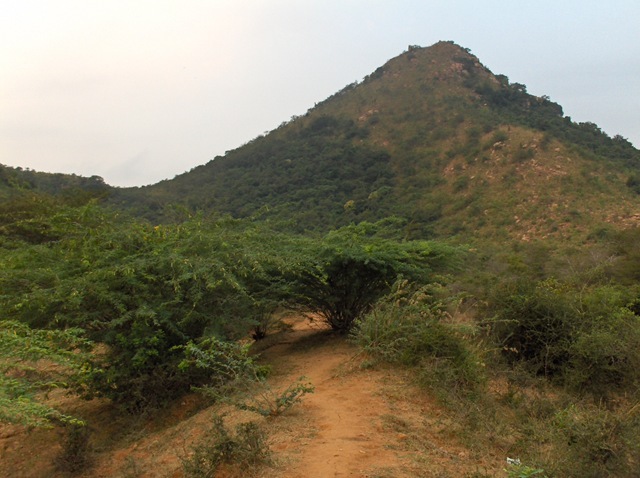 We joined after the route has left Tiru and is starting around Arunachala to the West of town. Since this was a big night there was a big crowd. We heard crowd estimates of 10 – 15 lakhs (1 to 1.5 million people) – this in a city of about 100,000. When we joined the route the road was packed, maybe 10 or 12 abreast and taking up all the (recently widened) road. To get a sizing of this number of people, in the US there is each year a ‘Super Bowl’ championship of American Football. This gets many 70,000. For European football (soccer in the US) the best teams, like Manchester United gets crowds of maybe 75,000. Lesser teams get maybe 20,000. So the crowd is like 15 or 20 Super Bowls or Manchester United matches. Visitors commonly take busses here. When they arrive they start the walk. When they are finished, they may eat by the bus then get back on the bus and sleep on the drive back home. We saw men, women, children, lovers, families, babies asleep being carried over the shoulder and being passed from Dad to Mom along the route. There were small groups of young women walking without parental supervision and human chains of young men, each holding the shoulders of the man in front, pushing their way through the crowd, chanting Siva chants. Many people walked holding hands or in some way staying connected to the people in their group. Though we were walking at night, the road was mostly well lit, lit up from all the roadside shops and temple that line the route. Most of the ‘shops’ were temporary, built from poles and erected just for the one day. They supplied everything you can imagine. This included drinking water, green coconuts (for drinking), fruit juice stands, soda stands, food stands, spiritual picture stands, toys, clothes, women’s bags, jewelry (mainly the bracelets that almost all Indian women always wear and color-coordinate with their sarees or salwar suits) food staples like rice and lentils, and many more. I even noticed a motorbike display, showing the latest models. Sometimes it had a bit of the feel of a Western trade show, with all the vendor booths showing off their wares. . Occasionally there was no light and the crowd was illumined just by the moonlight. I liked this the best. In the crush of the crowd the walking was not easy. One could not set up a stride and keep it up. People pushed their way past you, crossed the road in front of you, and there was a surprising number of bicycles, motorbikes, and even a few cars and vans going the other way. We were almost hit by an unlighted bike crossing the road against traffic in the dark. Often the most aggressive at pushing their way past us were women. 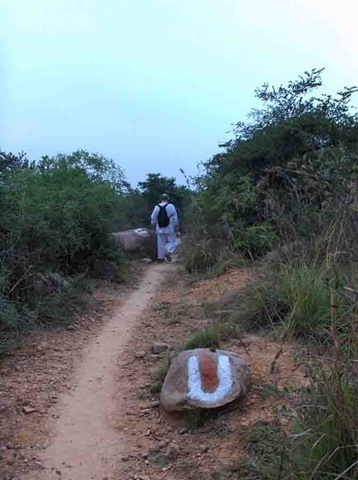 Though the purpose of the walk is spiritual, it seemed that many making the walk were not really doing so with this approach. 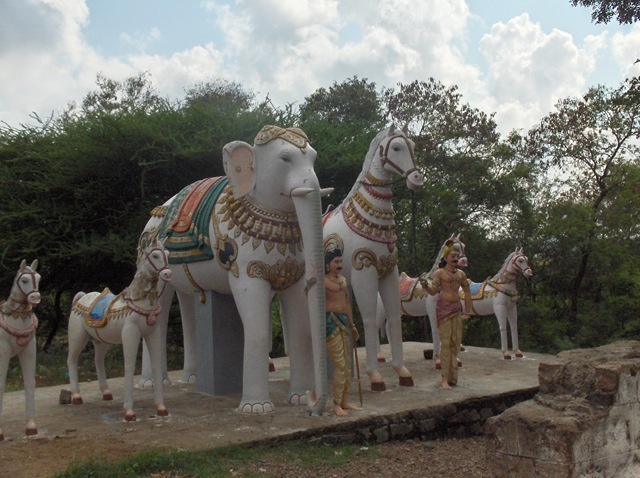 We passed many temples. Some walkers were going in. Many were not. Some were chanting as they walked. Most were not. 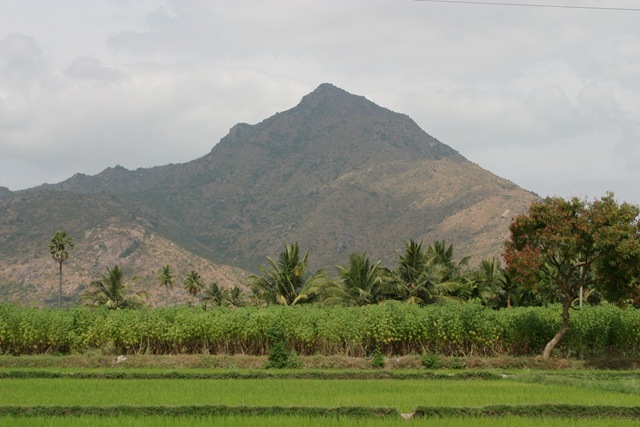 Some were paying attention to Arunachala as they walked. Most were not. Most were talking with the group they came with. Many were chatting on cell phones. 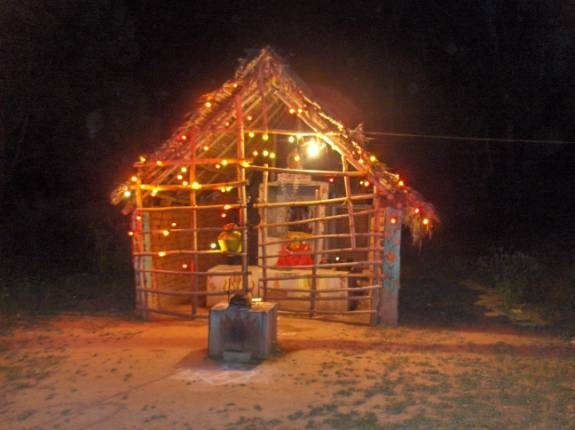 Here is a photo of a small, simple temple altar to the side of the road after we passed Adi Annamalai. All the others had many people. This just sat a bit away from the road, lit but mainly unvisited. It looked homemade. 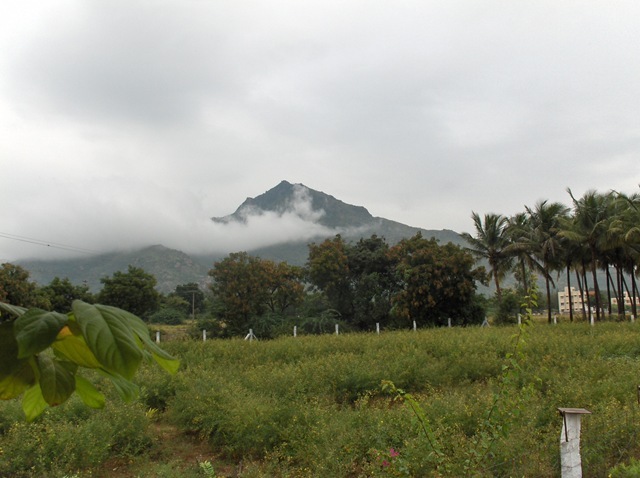 I could track our progress by the changing face of Arunachala as we walked. From our walks on the inner path, I now pretty well know were we are by the view presented by the holy hill. 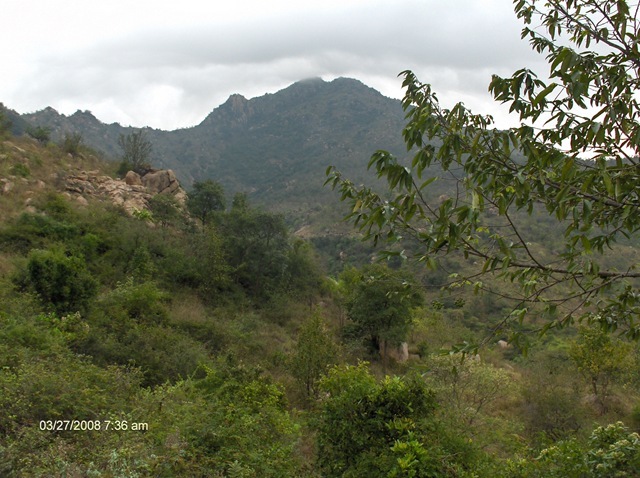 We start on the west side and see the view from our house, the mountain, and to the left side, the hill called Parvati. 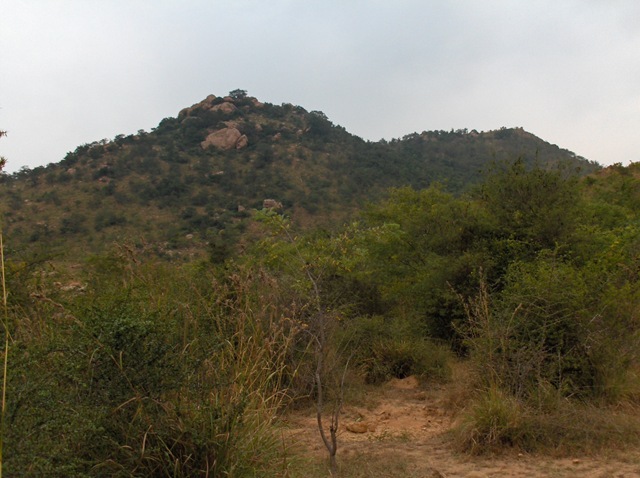 As we walk then we pass Parvati, then the ‘knob’ (whose name I do not know) that I associate with the Adi Annamalai Temple on the backside of the hill. 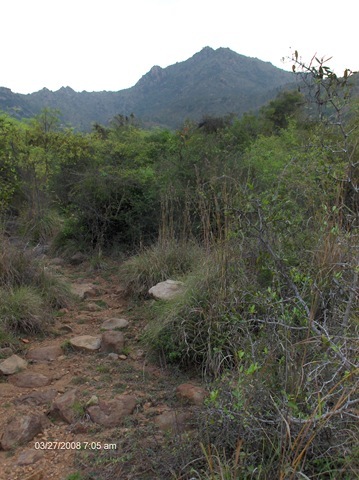 Then we pass the forest to the right that marks the end of the inner path. 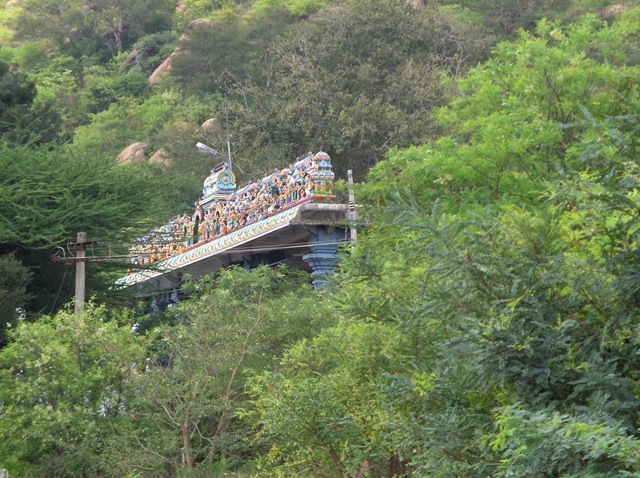 This means that we are nearing the road back into Tiruvannamalai. 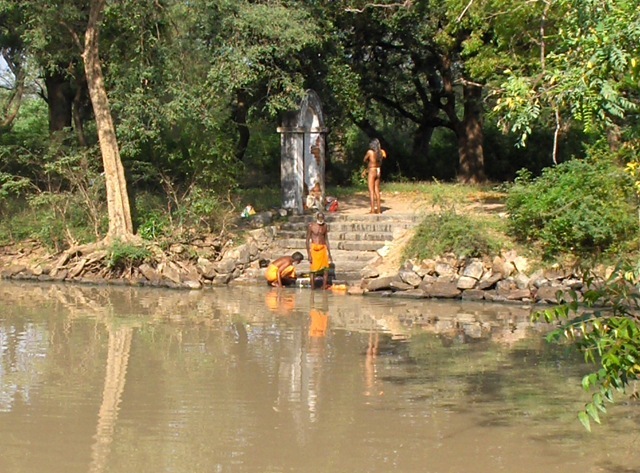 Finally we walk the three miles through town, passing Arunachaleswara, then Ramanasramam. We stopped at a restaurant, Usha’s just before we came to Ramanasramam, to sit and get a bite to eat. I am so tired by now I can barely take the steps, and much of this body hurts, the lower back, hips, legs and feet all hurt, some parts more than others. 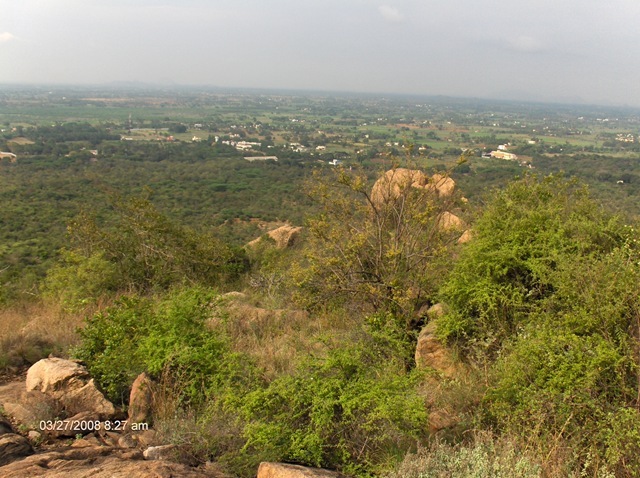 To keep going I have to think of near term objectives – it is just one block to Ramanasramam, I can make it one more block – like this I was able to make the last couple of miles. Emerging from Usha’s, now it is about 11 PM. Though late at night, it still must be 90 or 95 F, still surprisingly hot. The crowd we are with is mainly a new group, just starting out. We thought the road was crowded before, but now there seems to be almost twice as many people. The road is packed from side to side with so many people that the pace has slowed to about half of what it was before. At one point, right before Bangalore split off from the pradakshina route, the crowd actually came to a standstill, too many people to even move. 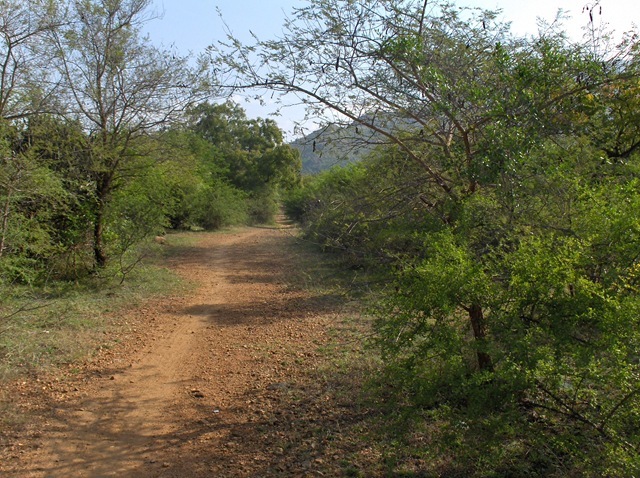 Finally we could turn off the pradakshina road and continue walking without all the crowds the last half mile back to our house. I can make it to the light, I can make it to the corner, I can see our house, I can make it past the guest house, I can make it across the field, I can make it to our gate, I can make it to our house! In the house, we will fill the shower bucket and wash off all the sweat and grime from the night. My feet are just about as dirty as I have ever seen them. We got to bed around midnight. 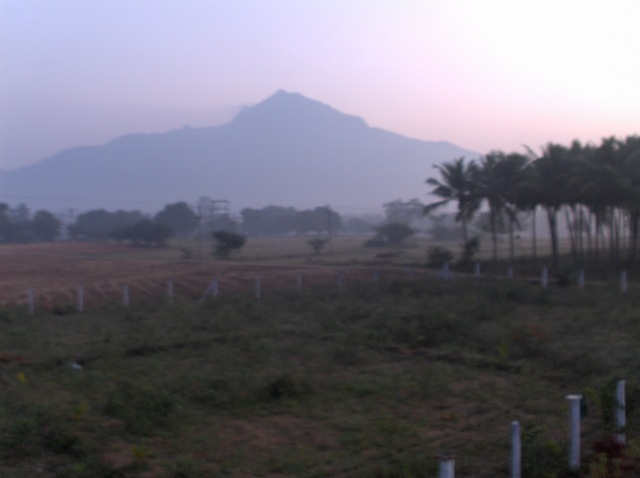 I got up about 4:30 this morning and went up to the rooftop to be with Arunachala and meditate. In our usually quiet country location, there was still much noise from the road. I think a lot of this noise was horns of busses, trying to make their way out, to start back home. 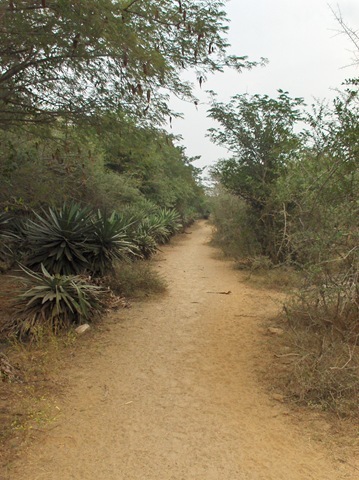 And in the dirt road in front of our house, there were, even at 5 AM, many rickshaws (which usually we do not see at all) which were, I guess, carrying walkers too tired to go further, back to their busses. Sri Ramana used to say that just like an elephant wakes up upon seeing a lion in the dream, in the same way the devotee wakes up to his own True Reality, upon seeing the Guru in this world dream. 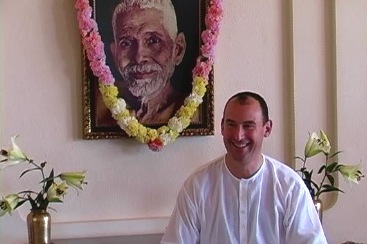 Once someone asked Sri Ramana how could one’s own True Guru be found. The Sage replied, “By intense meditation”. Another time Sri Ramana said that the disciple is more important than the Guru. If the disciple has faith, even a stone can serve as the Guru. This morning, I am being visited by Dr. Lakshyan Schanzer, a well known Master Yoga Teacher and a Psychologist. 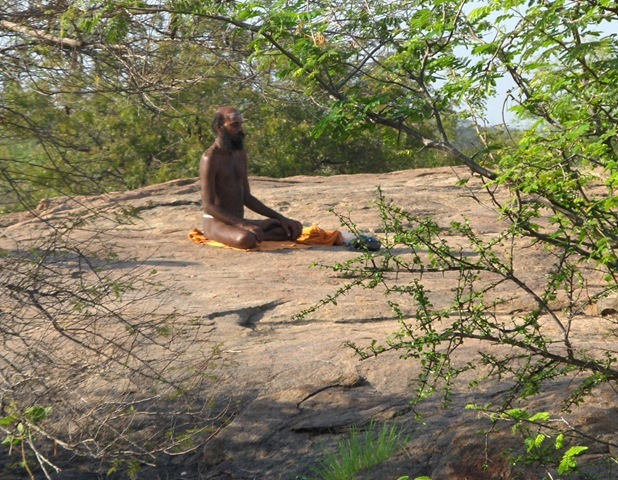 Lakshyan has studied with a number of famous Gurus over the last 30 years including Swami Satchitananda, who found the community of Yogaville near Charlottesville, VA, here in the U.S. Lakshyan lived in that community for a while and also visited India to study with other teachers as well. After Lakshyan and I talk this morning, we will go to an Indian Restaurant called “Rasoi” in Providence, RI for an “all you can eat” vegetarian lunch Buffet. I skipped breakfast in preparation for that anticipated big meal. I should mention that Lakshyan has studied not only with the traditional Gurus but also spent time with Nisargadatta Maharaj. 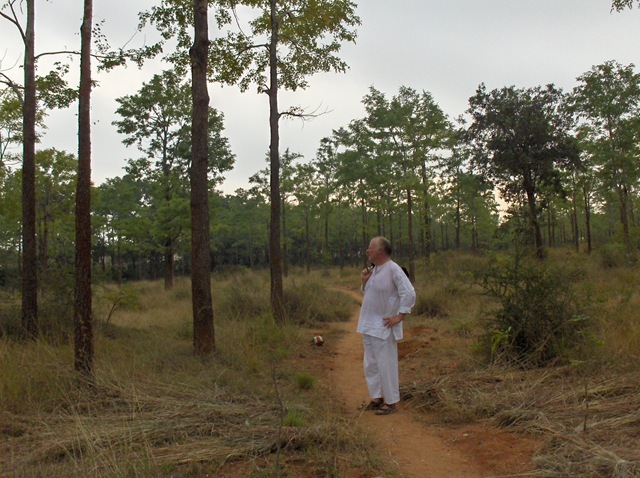 His account of the visit to Maharaj is on the following url. Of course, I respect all Gurus and traditions. But my mind has naturally been inclined to Sri Ramana since I was very young. It just does not go in any other direction at all. Ammachi used to come here and many people lined up on their knees to get a hug from her. 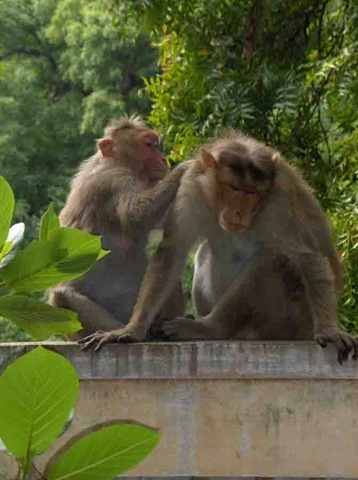 I respected these devotees but for me such things have absolutely no meaning. I accept that for others, it may be a lifetime experience. No matter how well known or famous or charismatic a Guru, I never feel any attraction other than for the person as a human being. 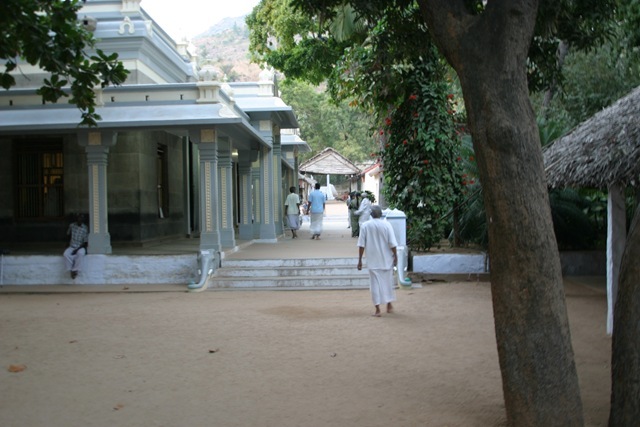 Sri Ramana is truly like the bright afternoon Sun at the height of the summer for the devotees. When the Sun itself is shining, one does not need candle lights to see the way. Well, no words can be adequate. 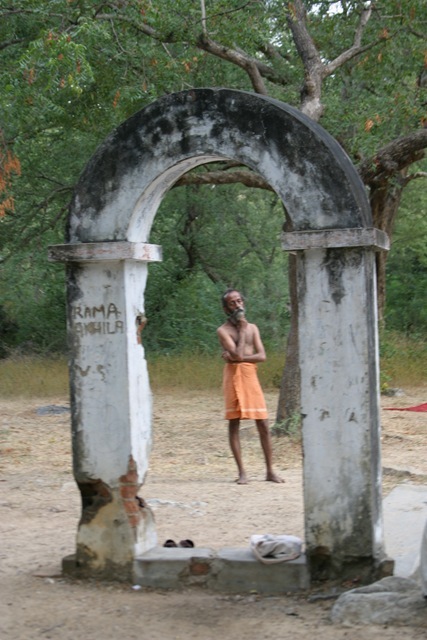 Sri Ramana’s devotees from the early 1900s to 1950 were some of the greatest saints and yogis of the day. But they were content to stay in Bhagavan’s shadow. Having found the Heart, one remains in the Heart as the Heart. No other place to go or be except where one already is and what one already is. 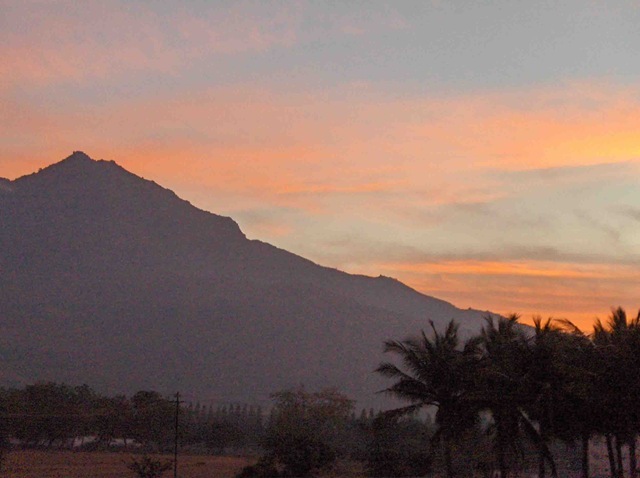 In so many ways Arunachala is the focus of our life here in Tiruvannamalai. 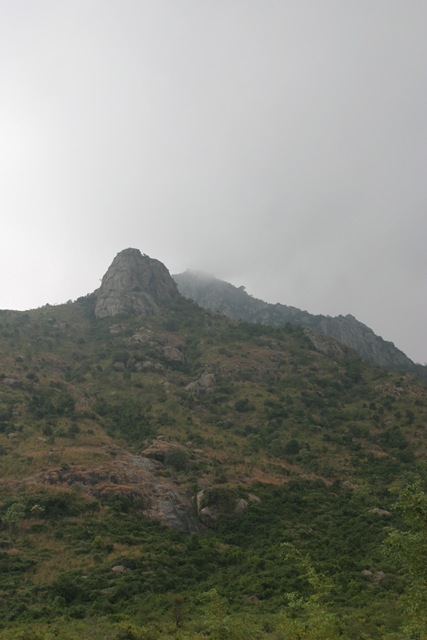 I want to show some of the views that we live with, since many are interested in this holy mountain.